Cindy Woodsmall has written the third book in her series The Amish of Summer Grove and she has not disappointed her readers! Gathering the Threads finishes the story of Ariana and Skylar, young women switched at birth, one Amish and one Englisch. However it is more than that. It is the story of the love of parents who raise a child, even a child who is not biologically theirs. It is the story of parents who get to know the child who is biologically theirs but resents these circumstances. It the story of an innocent Amish girl who suddenly gleans knowledge outside of her close-knit community and begins to question the old ways. It is the story of a world-wise girl who comes to love the simplicity of the Amish ways. It is also the story of the love of an Amish man who is intertwined in all of their lives and hides his love for the Amish girl. Cindy has such a special way of drawing her readers into the lives of her characters. You can almost imagine yourself being their neighbors. In Summer Grove, the Brennemans found out that the night their twins, Abram and Ariana, were born the midwife had switched their daughter with an Englischer’s daughter. The Englischer was now demanding that his biological daughter come live with him and the daughter that he had raised, who was spoiled and drug-addicted, go live with her Amish parents. As Ariana returns to the Old Order Amish community, you can feel her angst and confusion as she struggles with the new information she as learned and the Old Ways of her community. You can empathize with her as she is disciplined by the bishops and her Daed in front of the whole community. You understand her need to turn to her biological father for some fatherly advice. Your heart pains as she turns to her fiancé for support and he supports the bishops. Your heart might even feel torn as she is told to cut off all communication with the one friend who has helped her navigate both worlds. On the other hand, Skylar, has schemed to keep Ariana out of “her” parents lives and the café that Ariana started. She contributed to the troubles that Ariana experienced out of jealousy that Ariana was able to get so close to her biological parents but also because she was shipped off to live in this community away from her access to drugs. As Skylar comes to view Ariana in a clearer light, she comes to not only love her, but the rest of her family. There is so much more to the story…….but I can’t tell you everything! Get a cup of coffee, buy the trilogy, and settle into your easy chair and move into Summer Grove! Maybe you will be neighbors with the Brennemans or the Schlabachs or one of the other families but whoever you choose to be neighbors with, it will be well worth it! I received this book free for review from WaterBrook Multnomah Publishing. Books are words linked into sentences that make up a paragraph which form pages but they are also the thoughts, experiences, and lessons of the author. Sometimes a book is hard to get interested in making it difficult to truly become a book that you can embrace. Other times, a book is interesting but not one you would recommend to friends or family. Then there are the books that grab you and become the impetus to change you. Every Waking Moment by Chris Fabry is such a book! I am not going to give a spoiler alert but I will tell you that this book is about the ways that others can effect you and affect changes. Treha is the unassuming main character that soon fills up your mind and heart as you want to stand in defense for her as well as cheer her on in her search for her mother along with the answers to her past. Miriam is her greatest cheerleader and protector but there are other great characters who intersect in the lives of both of them that shape the story into an outstanding book! Chris Fabry, a West Virginia native, has written several books, of which two won Christy Awards and an ECPA Christian Book Award, and he hosts the daily program Chris Fabry Live! on Moody Radio. His style of writing draws you in and invites you to drop whatever you are doing for a long visit amidst the pages of his books. I have never read his other books, but I was very impressed with this one which makes me excited to find others. I encourage you to pick up a copy today! I received this book free for review from Tyndale House Publishers. 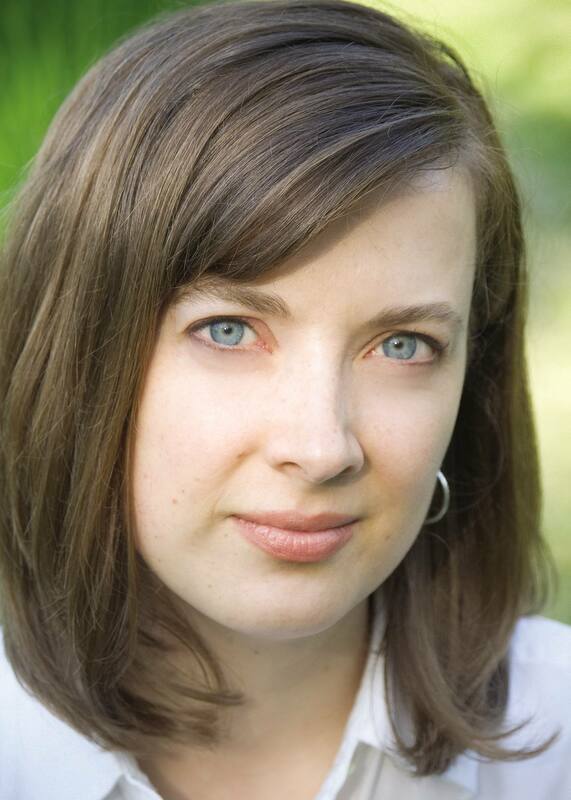 Beth Wiseman is a well-known Amish fiction writer as well as a Christian fiction writer. I was lucky to have been able to review Wiseman’s book His Love Endures Forever which is the story of an English girl who is friends with an Amish young man, Levi, and is also pregnant by another Amish man, Matthew. Danielle, the young pregnant girl, learns about love in this book. She has been living with an older couple after her mother is abusive toward her. She is lost and falls in love with an Amish young man who has dreams of something more beyond the boundaries of his Amish village and Amish church. Wiseman’s book, the third book in her A Land of Canaan series, is a journey of reflection and lessons of love – true, unconditional love. Not only does Danielle learn about the unconditional love of God, but Levi’s mother learns about unconditional love for others. Daniells’s mother learns about seeking forgiveness and Danielle learns to forgive. Danielle, Levi, and Matthew all learn about themselves in this coming of age story. This is an excellent story of love – the love of family, the love of others, the love of God – and it is a story of forgiveness and learning. I received this book free for review from booksneeze.com. In my lifeftime, I have had questions about faith, God, His will for my life, and the big one – why does God allow suffering in the world. It is hard to reconcile the loving God with the violence, starvation, hatred, and desperation found around the world. I, as well as many others, question how can God allow this to happen and yet expect me to only believe in His love and blessing. 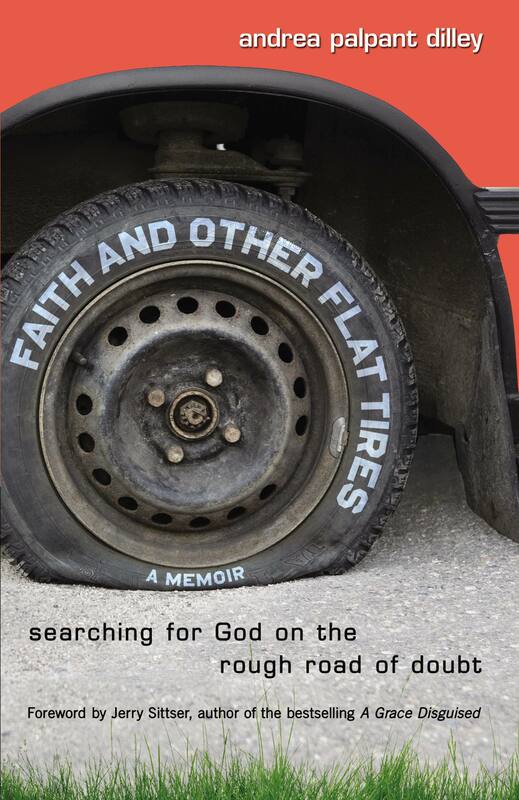 Andrea Palpant Dilley, author of Faith and Other Flat Tires: AMemoir Searching for God on the Rough Road of Doubt, travelled this path as well. Dilley had been born into a missionary family who served as Quaker medical missionaries in East Africa during the first six years of her life. By age twenty-one, Dilley was facing that road of doubt over the dysfunctionality of the church, the perceived silence of God, and the age-old question of suffering. This story is her story. Her story of doubt, questions, searching, and her journey of being a Christian refugee. Her journey is similar to many others including myself. She pushed the limits of what she had held sacred, she clung to the fleeting security of men, and she questioned everyone about their faith. This story is also about her journey back to the security of God and the outpouring of His blessings. I found her book to be truthful and upfront about the struggles of many to reconcile the church, God, and the world – especially the younger generation. Her chapters are not too long and keep the reader interested in the next marker on her journey – whether that marker be an obstacle or an insight. If you are facing that rough road of doubt, or know someone who is, then this book is for you. I received this book free for review from Handlebar Marketing and I would like to offer it free to a reader of my blog. Please leave a comment on my blog and I will choose a winner using Random.org. Empty Promises was an enjoyable, informative book that encouraged me to look deeper into what gives me joy and purpose in this journey called life. I also found myself guiltily looking into a mirror through several of the chapters. However, the greatest thing is that even though I found myself seduced, addicted, and in a chase, I also found the truth about what promise was real and long-lasting. In Luke 10:41-42 Jesus said, “‘Martha, Martha,’ the Lord answered, ‘you are worried and upset about many things, but few things are needed – or indeed only one. Mary has chosen what is better, and it will not be taken away from her. '” The only promise needed and able to fulfill is the One who is truly able to promise joy, peace, and satisfaction. I received this book free for review from Booksneeze. I would encourage anyone who is struggling with life to get a copy and settle in for some soul-searching time with the greatest Promise you will ever find or need! Sometimes our deepest hurts are masked so well that only God can see. God then places “angels” in our life to address those hurts and assisting you with learning to trust while He illuminates the pain as well as the path to freedom. In Beth Wiseman’s newest book, Need You Now, the Henderson family must deal with danger in their hometown which leads them to the small town of Round Top, Texas. The three teenaged children deal with the move in different ways, but the youngest, Grace, is utilizing a dangerous coping mechanism. When the mother, Darlene, begins her first job outside of the home, the children begin to feel a sense of abandonment. Darlene connects with the neighbor who has buried the pain of her child’s death and marriage break-up behind a facade of indifference. Darlene also connects with the special needs child that she is employed to teach which opens a dam of emotions from the child’s widowed father. All of these “hurts” are seen by God and each connection opens the door for the alleviation of that pain. I revieved this book free for review from netgalley.com. When you combine a small town in the South with “the way things have always been done” and then insert faith-filled people and God into the center, what you get is a Kim Cash Tate’s new book Hope Springs. The story is centered around the Dillon and Sanders families who attend Calvary and New Jerusalem churches. The Sanders’ clan comes home for a reunion and Christmas in Hope Springs, North Carolina at the matriarchal home of Grandma Geraldine “Geri” Sanders. Her children, except one, and her grandchildren, except one, gather round her as well as the Dillon family and other friends of the family. They have arrived just in time to bury the pastor of Calvary Church, Jim Dillon. This story is the story of finding your faith in trying times, of finding your “sweet spot” in spite of yourself, of burying the dead and painful memories, and of the resurrection of hope. The story is about Stephanie Sanders London who finds herself in Hope Springs. The story is about Janelle (Sanders) Evans who finds love and happiness following the death of her husband by reconnecting with her past. The story is about Libby Sanders who finds she can bury the past and find the grace of God’s love with her lost love who now pastors New Jerusalem Church. The story is about Becca Dillon, wife of Todd, who finds that in order to be blessed and exalted, she must first learn to be emptied and humble. The story is about the uncovering of secrets and the reconnection of family when Todd Dillon finds out his father had had a child by Gwynn Sanders. The story is about the building hope in the small Bible study group meeting at the local diner facilitated by the unsure but faith-filled waitress that unleashes hope in the two churches, one for the white families and one for the black families, that bridges the past and blesses an entire community. Hope Springs is one of those books that is like opening a flower – petal by petal- that leaves you breathless, crying, exhuberant, and praising God. It is a book that will keep you in your seat hungrily reading the words until you find yourself between the pages. Then you will be on your knees bowing before your God and Father with tears running down your cheeks and your arms raised in worship. I received this book for free to review for netgalley.com.